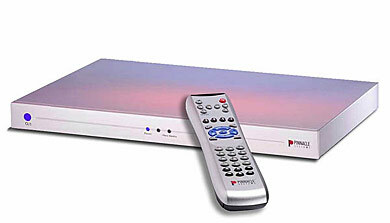 The Pinnacle ShowCenter is a digital media receiver that connects to wireless and wired home local area networks and enables streaming of multimedia files from any PC on the network to a television or home entertainment system connected to ShowCenter. Using the ShowCenter remote control, you can easily find and play your digital audio, video and photos stored on the PC. Today, Pinnacle Systems has announced the latest version, ShowCenter 1.5. The new version adds personal video recorder, Internet radio and enhanced usability features. ShowCenter 1.5 is expected to be available in June 2004.